NASA’s OSIRIS-REx Asteroid Explorer reached its launch pad on Wednesday after a 12-year development effort, but the real journey lies ahead for the spacecraft setting sail on Thursday on a seven-year odyssey through the Solar System to become the first U.S. Spacecraft to return a sample from an asteroid. The long-awaited mission is set to get underway at 23:05 UTC with a thundering liftoff of ULA’s Atlas V rocket to boost OSIRIS-REx beyond the bounds of Earth’s gravity and on a path to asteroid Bennu for arrival in 2018. 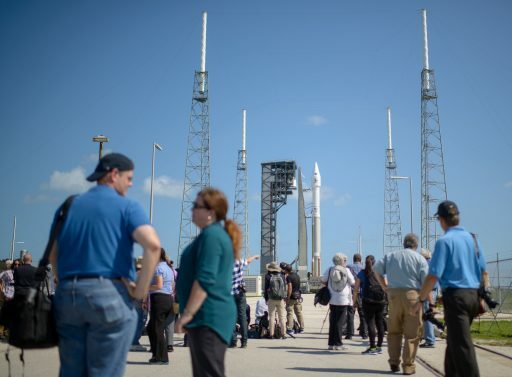 With all reviews and technical preparations complete, the Atlas V rocket was moved to the launch pad Wednesday morning under sunny skies at Florida’s space coast, marking the start of one day of preparatory steps ahead of the initiation of a lengthy launch countdown around midday on Thursday. OSIRIS-REx can look back at a challenging road to the launch pad: First envisioned at the University of Arizona in 2004, the mission was proposed to NASA for study in the framework of the Discovery Program that operates low-cost interplanetary missions. However, the proposal was not selected, sending the project – then named just OSIRIS – back to the drawing board. 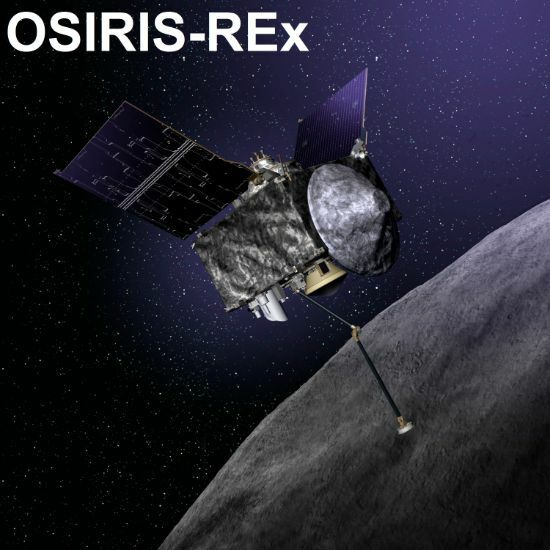 Moving up to the New Frontiers program that offers greater mission budgets, the project returned under the name OSIRIS-REx and was one of three missions selected by NASA for further study. To follow in the footsteps of the New Horizons mission to Pluto and the Juno spacecraft that recently arrived at Jupiter, OSIRIS-REx had to beat proposed missions to land a probe on Venus and return a sample from the Moon. OSIRIS-REx was officially green-lit in May 2011 as the third New Frontiers mission, clearing the project to head into the mission design process before building the spacecraft and its instrument payload. Visiting a carbon-rich asteroid was a top priority for scientists since asteroids are considered relics from the early stage of the Solar System, carrying a record of the conditions 4.5 billion years ago and possibly holding clues that could reveal how the building blocks for life were delivered to Earth and, possibly, other places in the Solar System. Bennu, the mission’s target asteroid, is a dark, unexplored world roaming the inner solar system in an orbit taking 1.2 years for one lap around the sun. 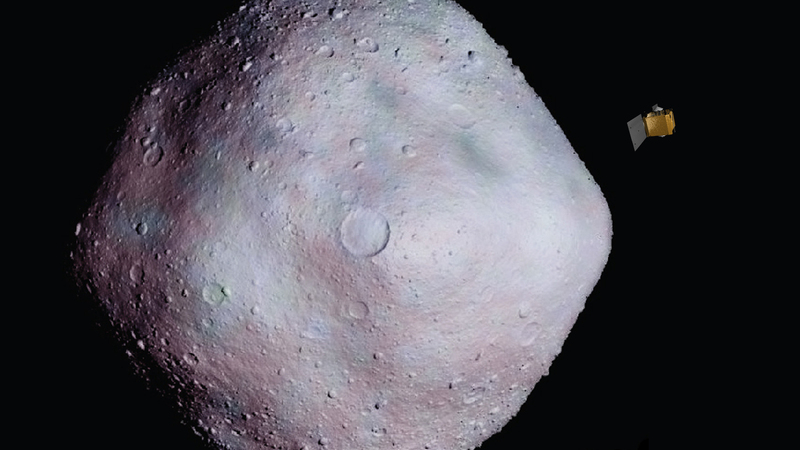 Around 500 meters across, Bennu grazes past Earth every six years and is one of a few known asteroids that are considered potential Earth impactors. An impact of Bennu in the next century and beyond can not be ruled out due to minute variations in its flight path caused by external influences from the sun – an effect to be studied by OSIRIS-REx to better calculate the path other threatening asteroids will take. OSIRIS-REx stands for Origins, Spectral Interpretation, Resource Identification, and Security-Regolith Explorer. The name was also chosen in reference to the Egyptian god Osiris, the lord of the dead roaming the underworld. This name was selected for the mission because Bennu, in the event of an Earth impact, would bring vast destruction and death. Rex is the Latin word for king. The primary goal of the mission is to collect a surface sample from asteroid Bennu, and return as much as two Kilograms of material to Earth in a pristine Sample Return Capsule. 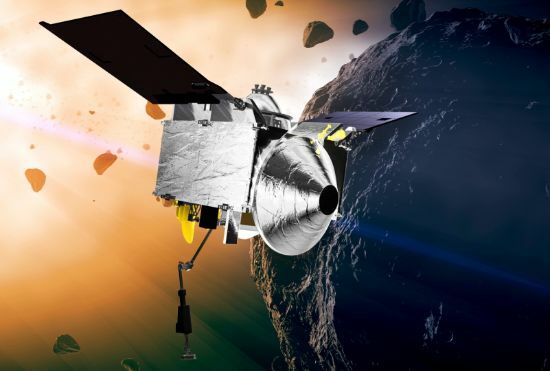 Obtaining an untouched sample from Bennu and putting it through laboratory tests not possible with spacecraft instruments will reveal ultra-trace amounts of organic compounds to help in understanding the origin of the ingredients for life as we now know it on Earth. The road to launch – as can be expected for a complex mission like this – was filled with technical challenges – beginning with backyard tests of sample collection system ideas and leading into high-fidelity testing carried out on zero-G aircraft rides. Nevertheless, OSIRIS-REx remained a role model for other NASA missions – coming in on-time and substantially under the mission’s $800 million budget. 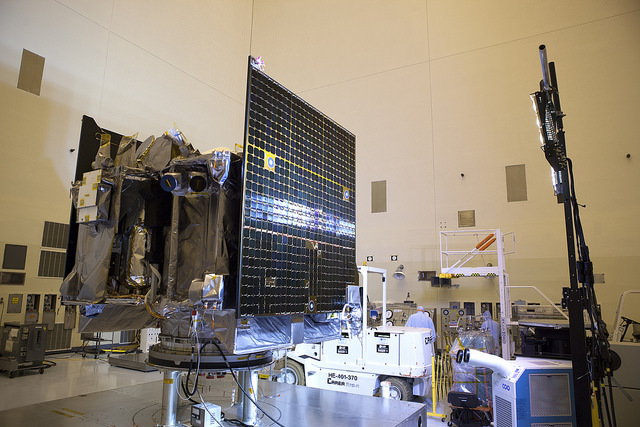 OSIRIS-REx headed into construction after a Critical Design Review in April 2014 with Lockheed Martin in charge of building the spacecraft based on heritage from previous missions: the Mars Reconnaissance Orbiter, Mars MAVEN and Juno. 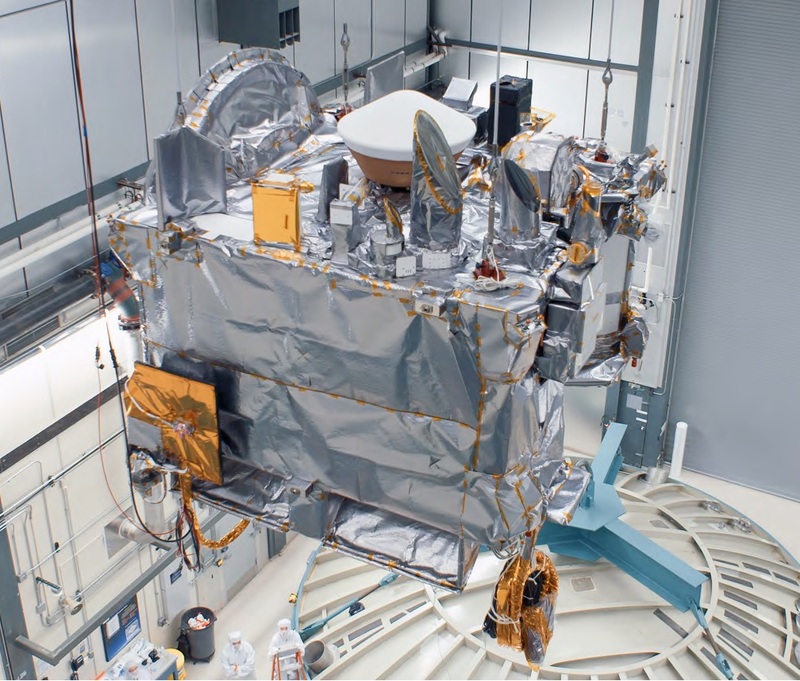 Development and manufacture of the mission’s camera suite, laser altimeter and three spectrometers plus the sophisticated TAGSAM sample collection system finished in 2015 and OSIRIS-REx stood fully assembled for testing in October. 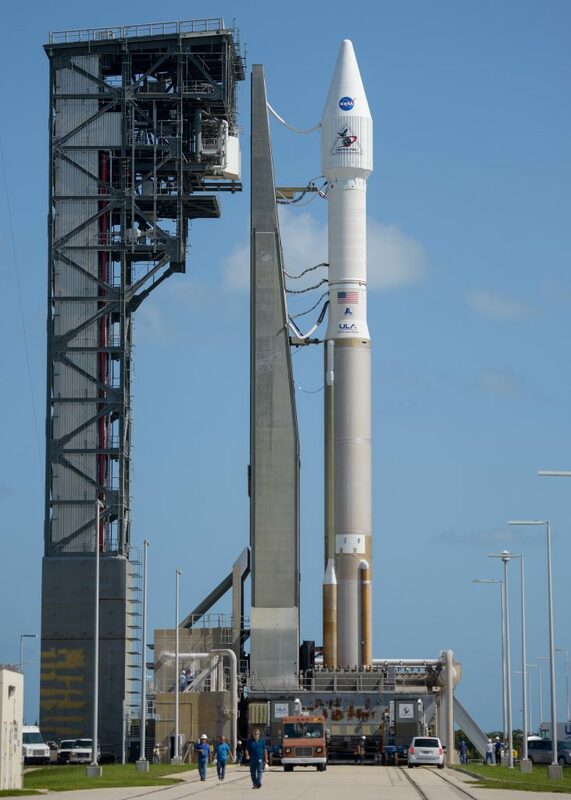 Delivered to Cape Canaveral in May 2016, OSIRIS-REx was loaded with propellants for its long journey through the Solar System and completed final checkouts before meeting its Atlas V rocket in August, entering the final leg of the launch campaign. The 58-meter tall Atlas V rocket emerged from its integration facility just after 9 a.m. local time on Wednesday, riding to the launch pad at Space Launch Complex 41 atop its Mobile Launch Platform. 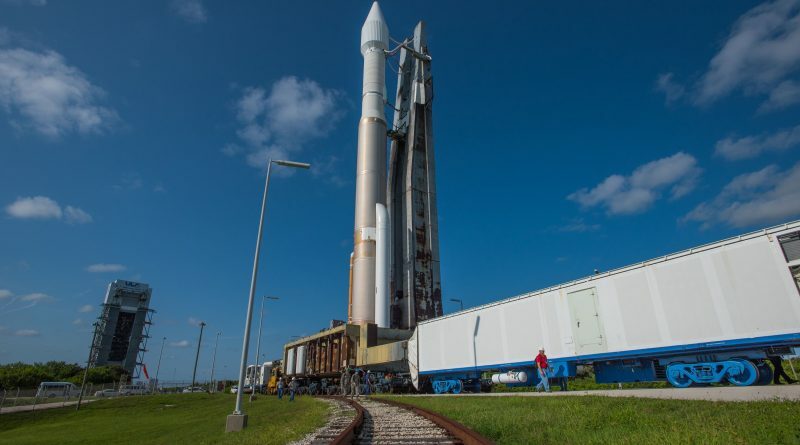 Carefully centered on the pad, Atlas V was to enter the final preparations for its seven-hour launch countdown getting underway on Thursday to set up for a liftoff at 7:05 p.m. local time, 23:05 UTC – the opening of a 115-minute launch window. 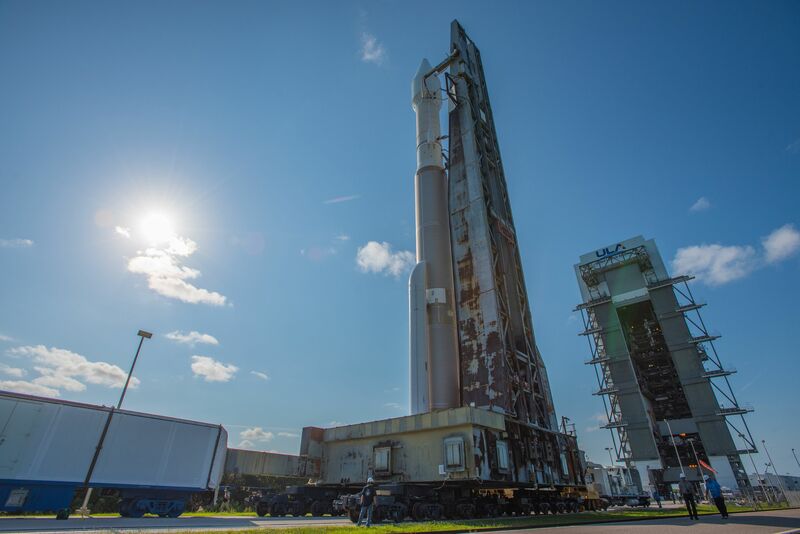 >> Check out our detailed run-through of the Atlas V countdown and launch sequence to learn how OSIRIS-REx gets to space and heads off on its long journey. Weather forecasters continue predicting an 80% chance of favorable weather during the window – cumulus clouds are the primary concern for liftoff. Set free one hour after launch, OSIRIS-REx will deploy its two power-generating solar arrays and phone home to a ground station in Australia to confirm to the large mission team that the spacecraft is healthy and ready for its long-distance commute to Bennu. One year after launch, OSIRIS-REx will fly past Earth to use its gravity to bend the craft’s trajectory to match the orbital inclination of Bennu. The mission’s target will appear in telescopic images taken by the spacecraft in August 2018 and grow noticeably as OSIRIS-REx completes is approach to arrive in the direct vicinity of Bennu in October. What follows is a detailed remote interrogation of the asteroid using the mission’s five instruments. 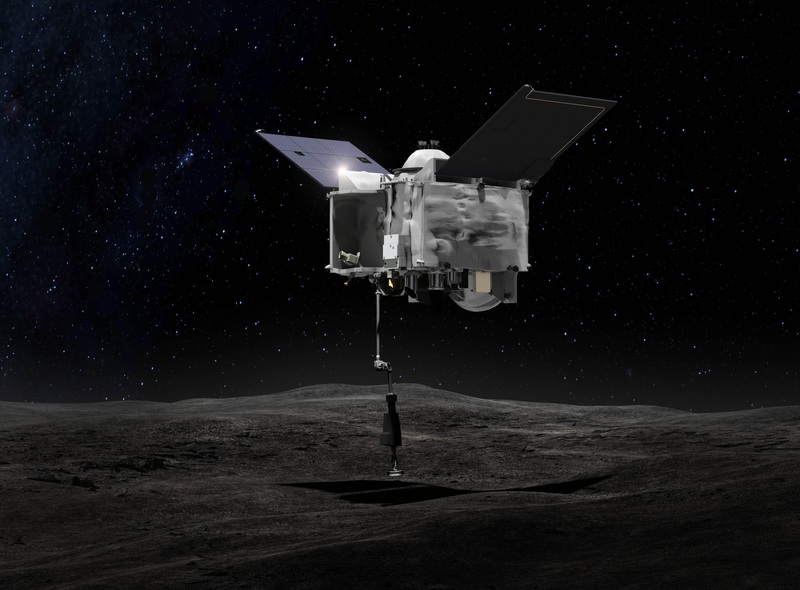 OSIRIS-REx sets out to map Bennu’s global properties, chemistry and mineralogy to deliver an unprecedented data set from a primitive carbonaceous asteroid to characterize its geologic and dynamic history. 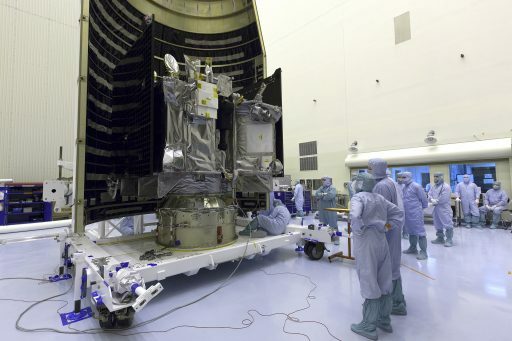 The spacecraft’s instruments will document the surface texture, morphology, geochemistry and spectral properties at high-resolution which will unlock the historic record preserved on the asteroid. This data will also help interpret telescopic data collected from other asteroids in the solar system. 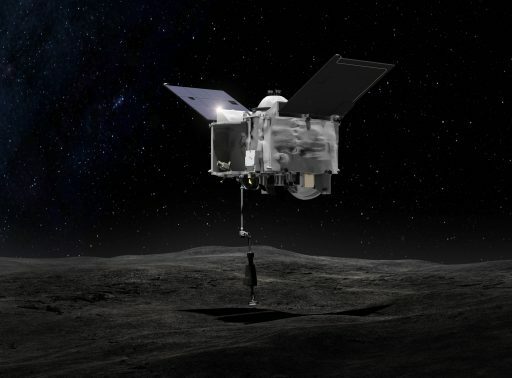 The mission’s culmination will come in 2020 when OSIRIS-REx will execute a deliberate touch-and-go maneuver, placing its TAGSAM sample device down on the asteroid’s surface for only a few seconds to collect the crucial sample upon which the overall success of the mission depends. OSIRIS-REx carries three nitrogen cartridges to re-attempt the sample collection should any problems arise during the unprecedented maneuver. With the sample sealed in a small return capsule, OSIRIS-REx is set to boost itself back to Earth in 2021, dispatching the capsule toward the planet on September 24, 2023 for a high-speed re-entry and a parachute-assisted landing in a Utah Test Range. Not all of the mission’s sample will be analyzed right away – the majority will be archived in pristine condition for access by future generations when scientists envision even better laboratory tests will be available. If all goes according to plan, OSIRIS-REx will deliver the largest extraterrestrial sample ever collected in a robotic mission. Copyright © 2019 OSIRIS-REx | Spaceflight101. All rights reserved.